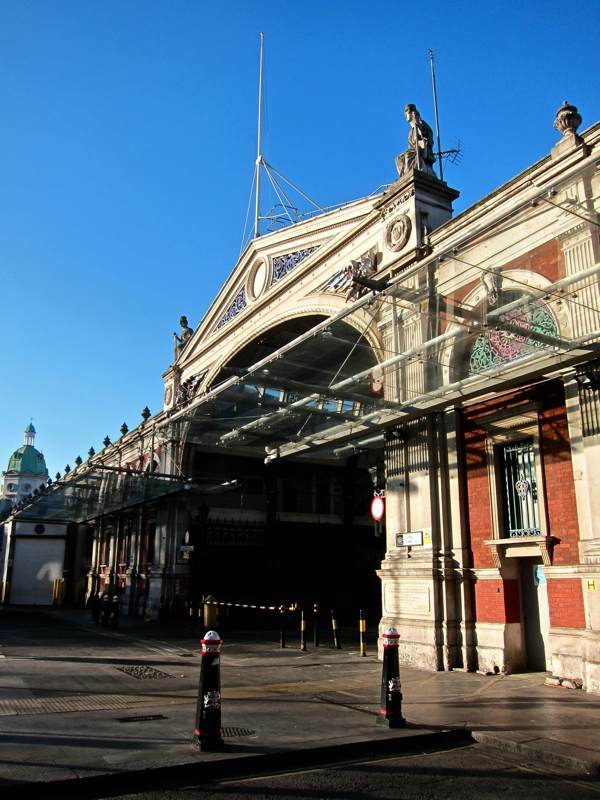 The General Market of 1868, where Joan first began her career in West Smithfield, contains one of Europe’s grandest market parades beneath a vast glass dome, designed by Sir Horace Jones who was also responsible for Tower Bridge. 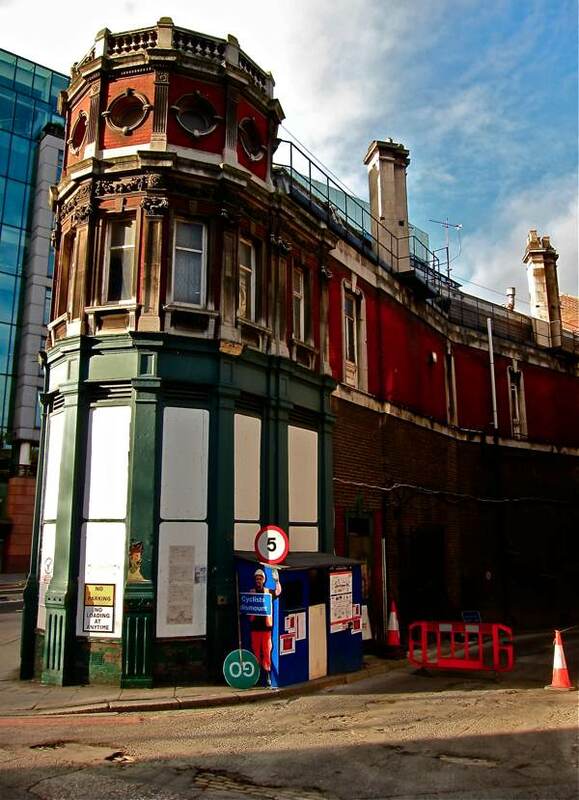 Although proposals exist to refurbish the historic building and reopen it as a retail market, revitalising this part of London, the City Corporation has granted planning permission for the structure to be replaced by three tower blocks, retaining only the facade of the original edifice. 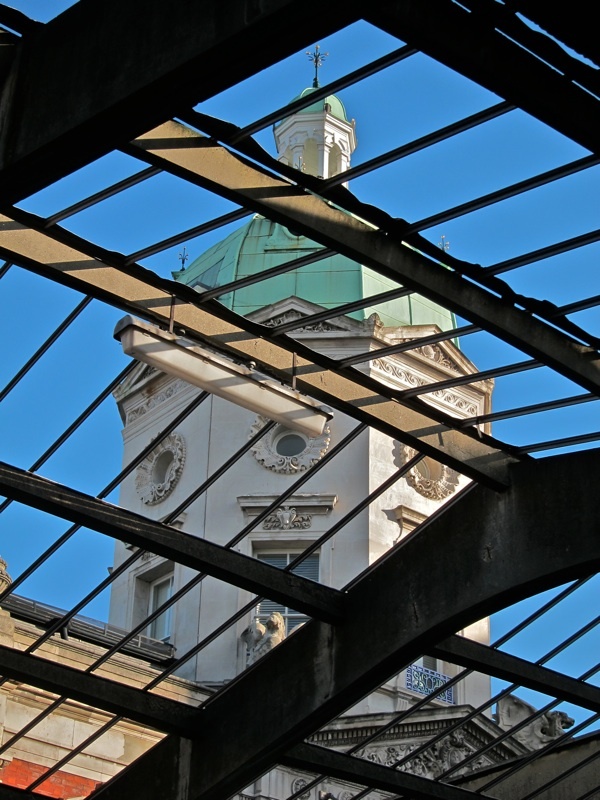 On 11th February next year, a David & Goliath battle commences at the Guildhall when SAVE Britain’s Heritage and The Victorian Society face the Corporation of the City of London, Henderson Global Investments and the Greater London Authority. Although, regrettably, Joan will not be attending due to her advanced years, the Enquiry is open to the Public and she hopes some readers might like to go along on her behalf. Last week, I visited Joan in her tiny bucolic cottage situated among overgrown gardens in a quiet cul-de-sac in Peckham. 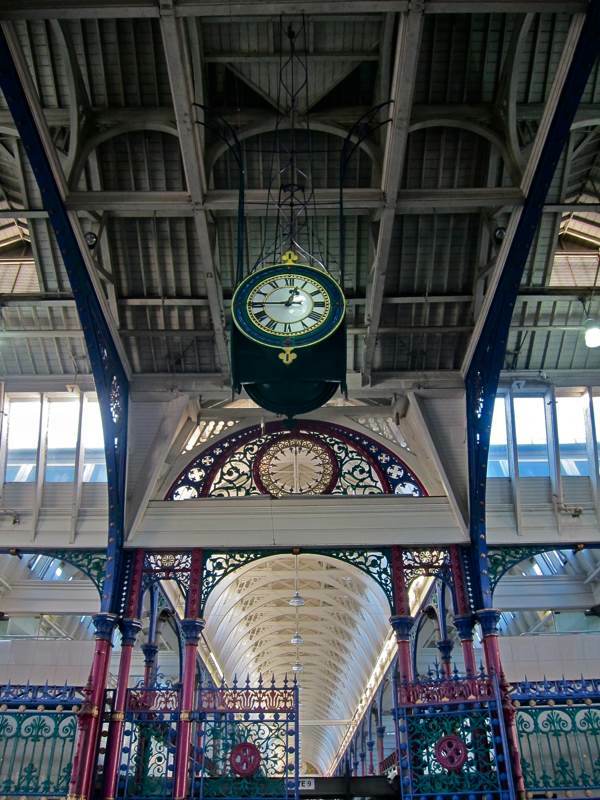 Of sprightly demeanour and impeccable manners, Joan has good claim to be the first woman to work in Smithfield Market. 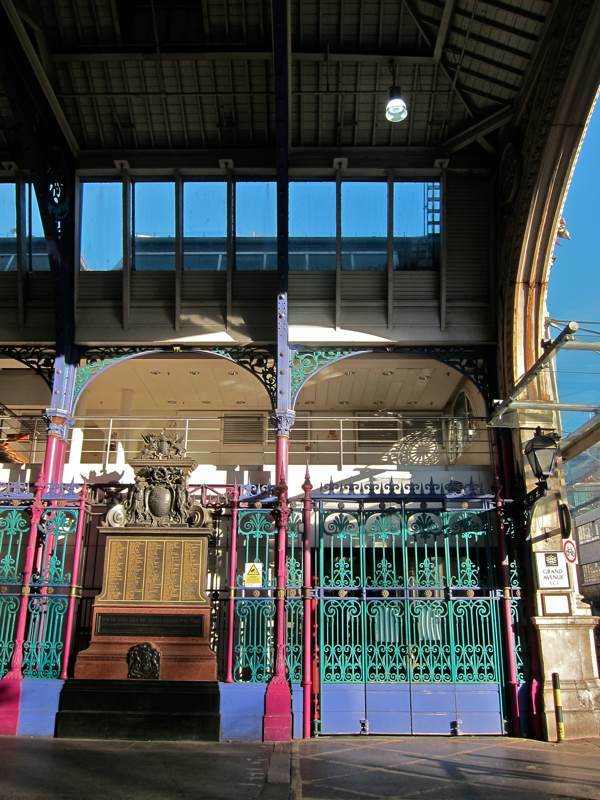 Yet, even though she was conscientious not to absorb the colourful vocabulary for which which the Market is famous,“When the cat can’t decide whether to go out, I say ‘Make up your Smithfield mind!’” she confessed to me. 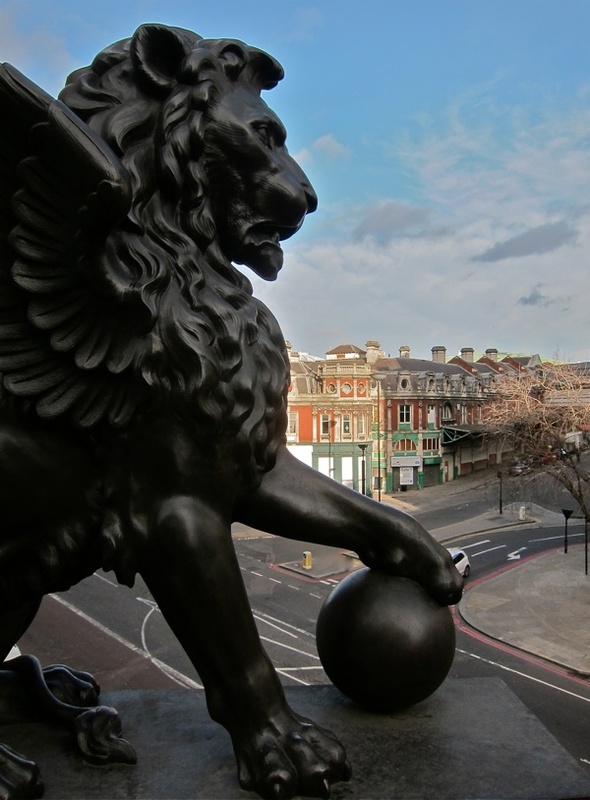 On Holborn Viaduct, the winged lion watches protectively over the Smithfield General Market currently under threat of demolition. 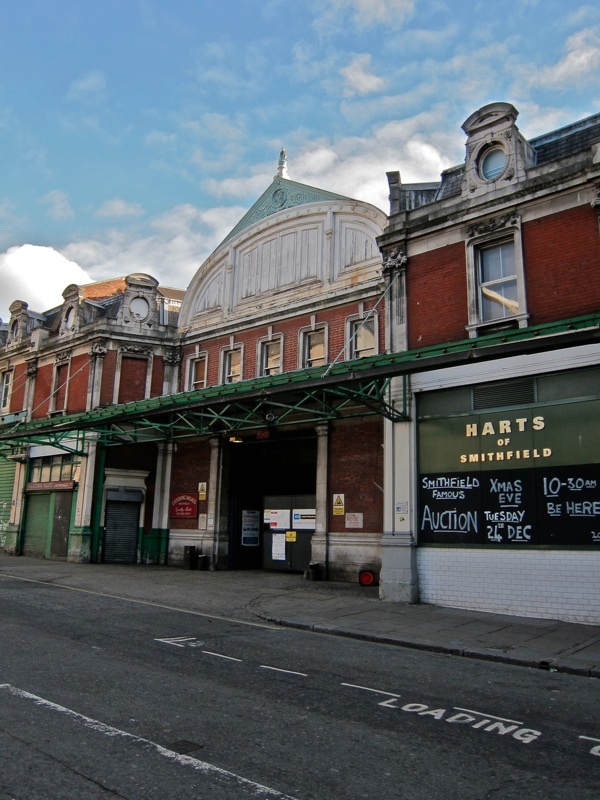 This Wednesday 11th December, SAVE Britain’s Heritage have organised a live theatre event at Smithfield from 5-7pm, telling the story of the Market. 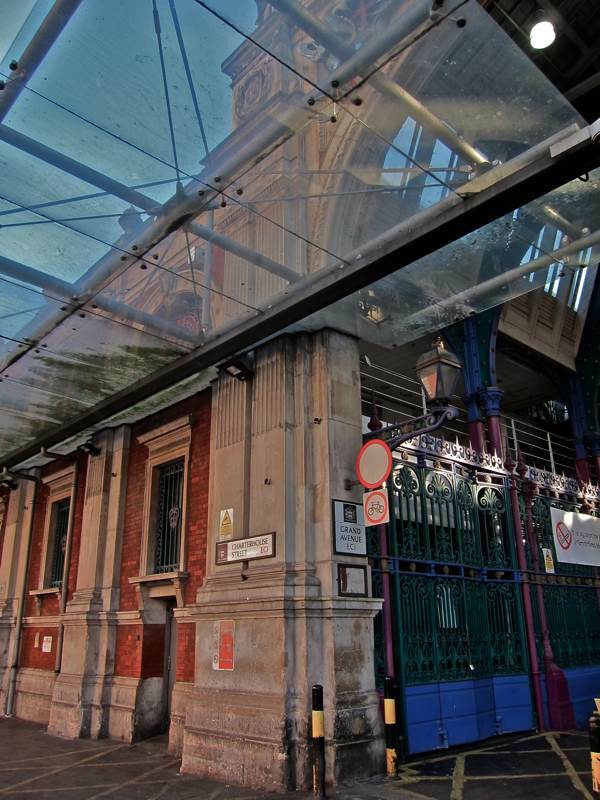 Locations will be on Holborn Viaduct, outside The Hope on Cowcross St and in the Market Grand Avenue. I cant believs this . 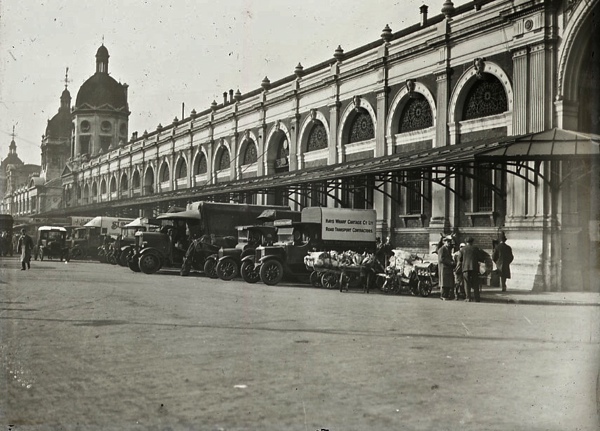 I am a resident of Melbourne where our local Victoria Market is a treasured part of the city . Any attempt to pull it down would end up with blood on the streets I think. I am coming to london next September . One of the reasons I am coming apprt from visiting my son is to see the history and the buildins . 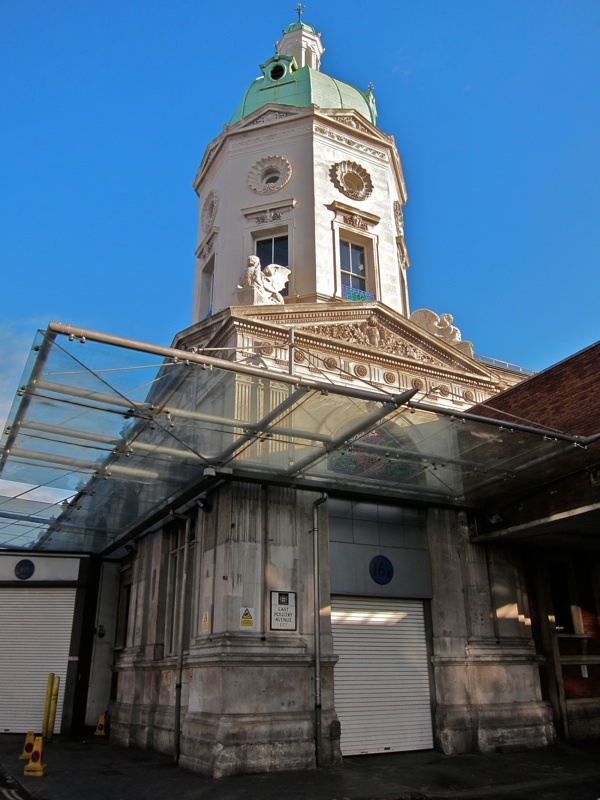 That the city could consider pulling this wonderful building down beggars belief .You Londoners MUST stop this .If you need outraged emails from the “colonies” let me know !!! 11th February is in the diary, looking forward to getting more details. The proposed developments for this area are shameful. Well done GA for creating a mouthpiece. C’mon everybody! Just for once, The Corporation have got it wrong. 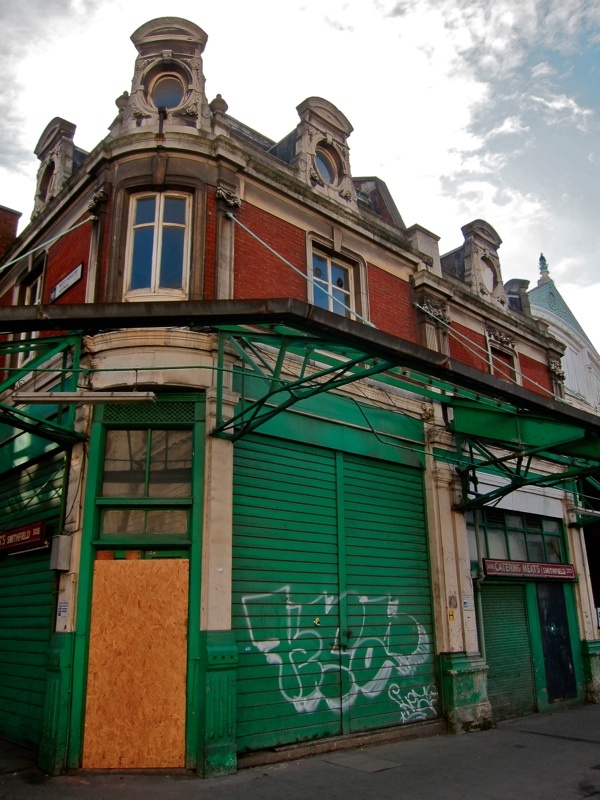 We need these buildings – so, we have another struggle against the wreckers. 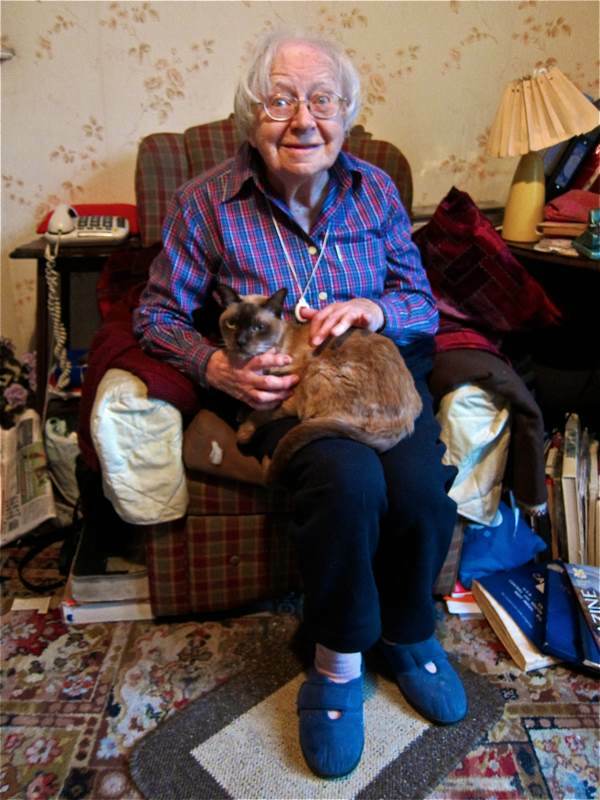 I do like the (presumably Burmese) cat – they are temperamental, even by cat standards! Once again it appears that the authorities are happily stamping over the wonderful history of London. I Wish I could be there and help to fight these appalling attempts at destruction. I can only send my fervent prayers that these buildings can be saved. Very nice. In my opinion this is a place worth preserving. 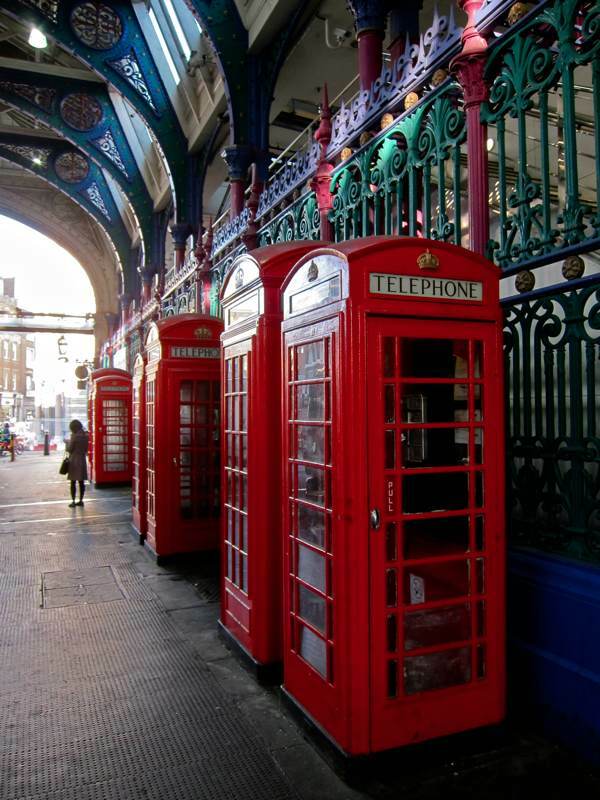 I love such buildings! think that the proposal is to demolish and put up tower blocks is beyond believe. Lets get marching with our placards and stop this lunacy. 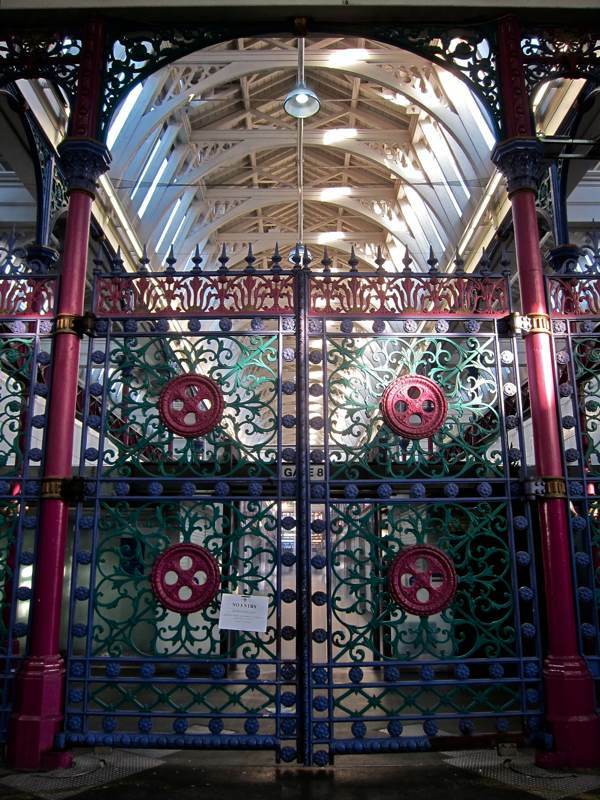 From a far-away fan of Spitalfields Life, I loved this interview with Joan Brown and the accompanying photos of Smithfield Market. 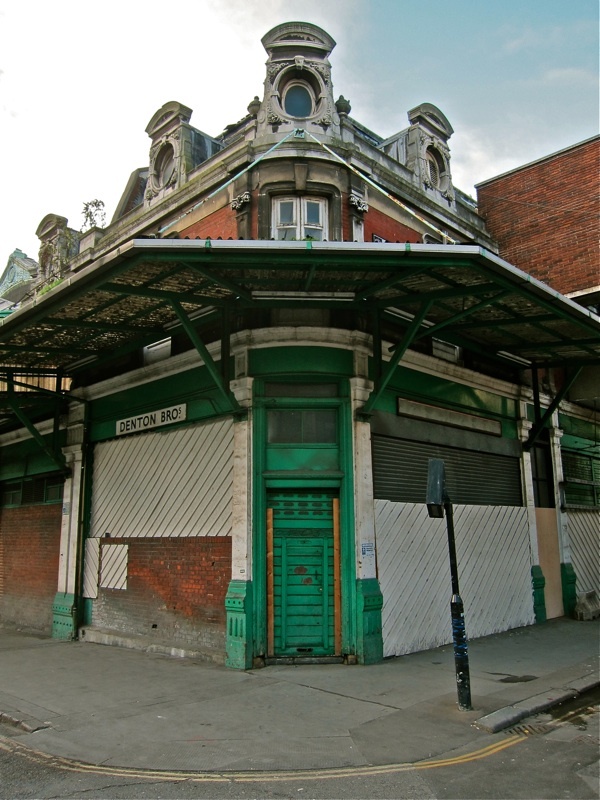 Recording and preserving these oral histories are as important as saving the buildings. The Gentle Author does a great job! 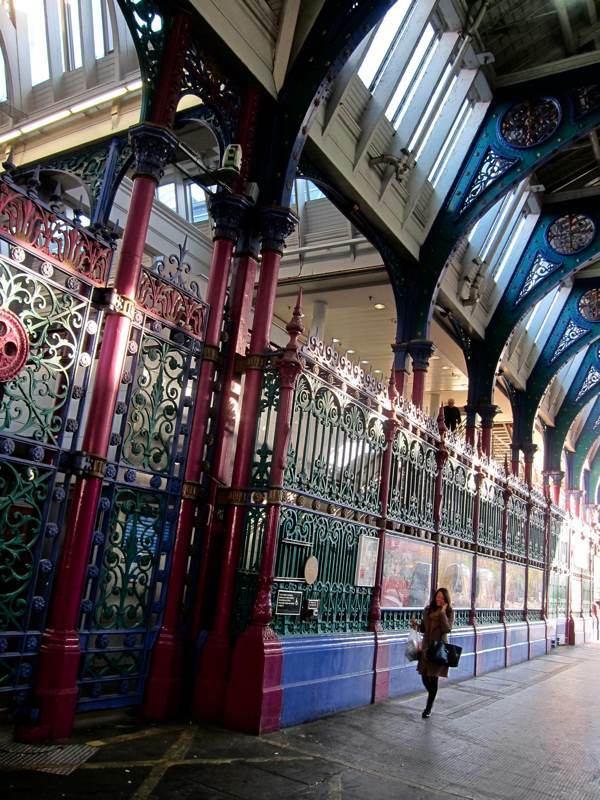 I look forward to your blog every day, and hope to visit Spitalfields in the future. So interesting, these life stories. Thank you Joan & GA! Lovely photographs, too. If I’m not mistaken the final word on this development will rest with Boris Johnson. With his track record for walking all over local democracy (viz. Deptford) this will need a very strong, co-ordinated protest. He is even willing to risk Westminster’s World Heritage Site status in the pursuit of Chinese money to raise tower blocks along the Thames! Gentle Author – this is a magnificent post to your blog! The photography is to be treasured and as for Joan Brown – her story is simply wonderful! She surely has lived her life superbly. I got a job with AJPoels the Company headed by John Jenkins in June 1954 just before the Market re-opened after WW11. The interview would have been at the West Smithfield Office and no doubt this wonderful lady was there. I was a mere 24 and thrilled to get the job. I spent some 9 years with the Company before moving to “Ridpath” and then went onto a junior partnership with John Silver. Later I branched out on my own and through a series of events my Son Paul is now MD at P.j.Martinelli Ltd still trading at Smithfield. Please convey my very best regards. Peter J Martinelli MBE sub editor Smithfield Gazette. I worked with Joan 1964/5. M.D. 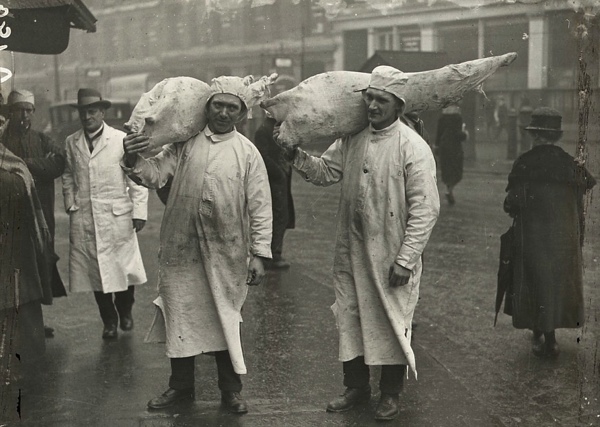 John Garton Jenkins and Co. Secretary Chris Kubler before I transferred to Luton abbattoir for Associated meats. Joan was totally loyal and honest, a lovely lady. I was only 18 but hope she remembers me. Trust she is still well. I am nearly 84 and I started work in Smith field Meat Market at the age of 19 as a Pitcher that is a man who carries the meat into the market starting late at night, before that I worked the race courses playing the three card trick and the spinning jenny plus being a thief as well, but the cops where getting hot on us and meat came off ration so all the team went to Smith Field, but being young I could not help myself nicking meat for my MUM and of course I got nicked and got 9 Months at the Old Bailey and I did my time in Lewis jail for young prisoners, but when I came out I got back in Smith Field but not long after I got under a side of beef and one of the guys called Harry Frampton got under his end and dropped dead so I ran and got changed into my clothes and returned to the game I knew best, the guys I worked with where hard men but very fair and loyal at all times and they were very pleased when I went back sometimes to see them, THEY DONT COME ANY TOUCHIER THAN THEM, so leave the place alone dont they think they have taken enough memories away in LONDON as it is.